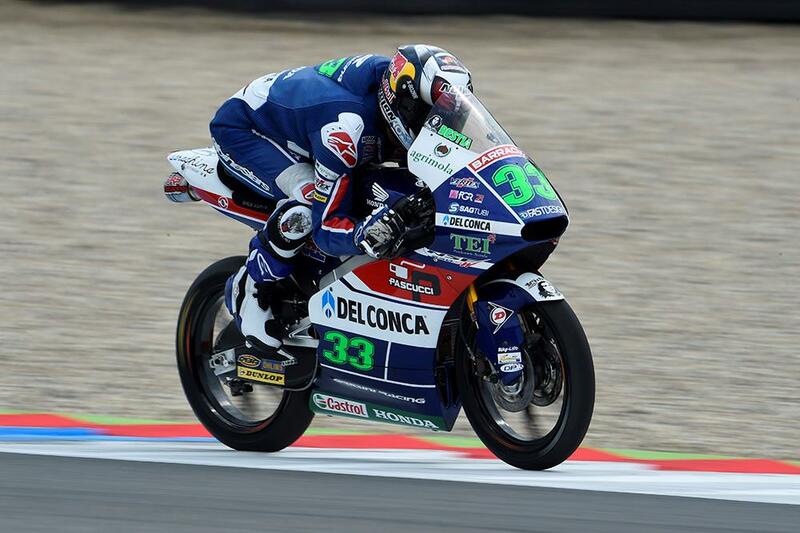 Enea Bastianini has made the most of tricky conditions at Assen to take pole position for tomorrow’s Moto3 race – albeit as one of the closest front rows in the history of Grand Prix racing, with only 0.066 separating him, Andrea Migno and Nicolo Bulega. Intermittent rain in the closing stages of the session saw many strategies thrown out the window, with Bastianini making the most of it to put his Gresini Honda on pole ahead of seven KTMs. 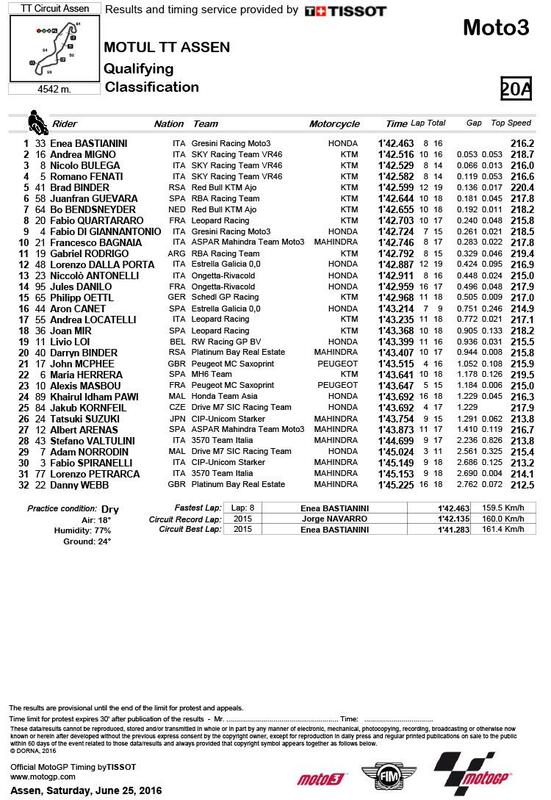 With Migno and Bulega second and third on the Team Sky VR46 bikes, Romano Fenati on the third of the bikes topped the second row from championship leader Brad Binder and Juanfran Guevera. Scotsman John McPhee showed good pace earlier in the day to run at times inside the top ten, but will start tomorrow’s race from 21st, while Danny Webb, returning after a three-year absence is 32nd and last.